April 29, Mile 484There were many wild ponies in this area near Mt. 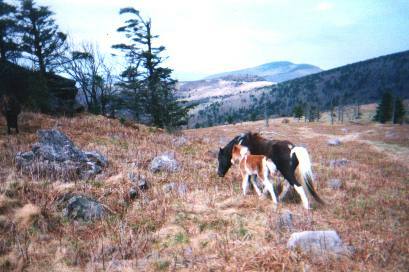 Rogers, including many mares with young foals. 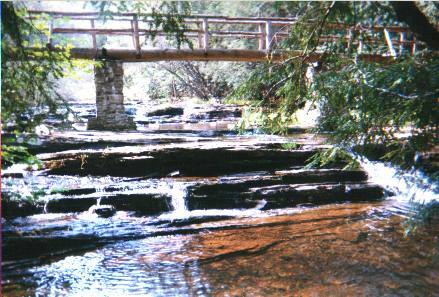 May 3, Mile 568This was one of those classic scenes of the Trail; a foot-bridge over a beautiful creek crossing. 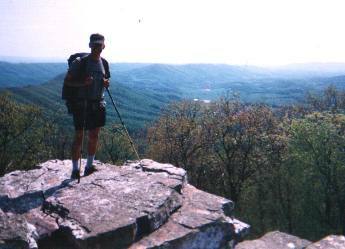 May 7, Mile 645One of the countless overlooks along the trail. It was amazing how skillfully the trail is routed to keep it in wild country. May 7, Mile 657Having grown up on a farm, I enjoyed the stretches of trail running through farmlands. 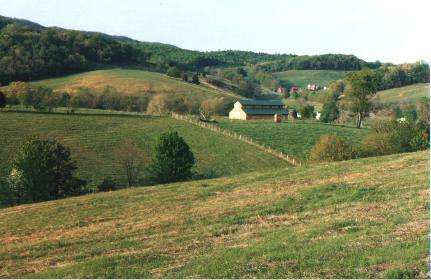 Here are some scenic farms in Virginia. 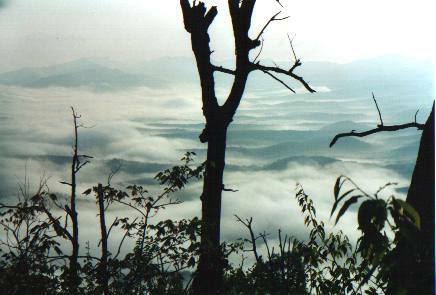 May 9, Mile 679Often in the mornings you could look down upon the ranges of lower mountains and see clouds laying low in the valleys. 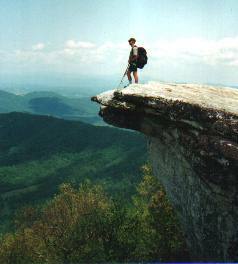 I doubt there are many hikers who don’t get a photo of this breath-taking rock overhang known as McAfee Knob. 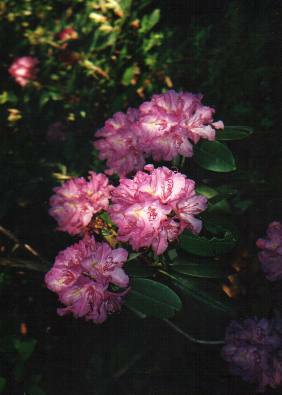 May 10I enjoyed the spring flowers, but most paled compared to the sight and fragrance of the spectacular Rhododendron blossoms. It was hard to believe they were wild. May 14, Mile 813I hiked with Robyn for about a week. 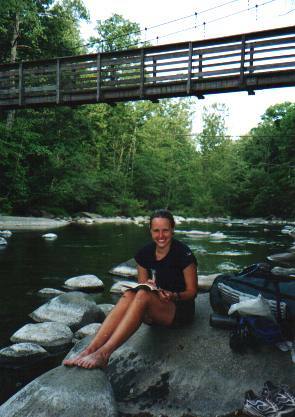 She got her trail name from her poetic shelter journal entries. May 18, Mile 884Two section hikers from NYC with Limerick. 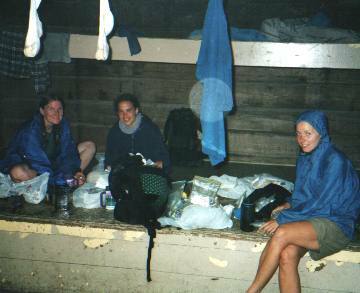 The weather was in a raining mood, and the shelters were handy for hanging wet clothes and gear. May 22, Mile 949A black bear I spotted from the trail. He wasn’t paying attention, because I had plenty of time to dig out my camera and get a shot. 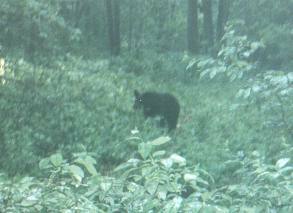 I was king when it came to spotting bears early on, but never saw another past Virginia. I didn’t talk to one hiker that had bear problems.